The Atlantic 10 has been criticized in the past for weak non-conference scheduling. Particularly, a weak SOS may have kept St. Bonaventure out of the NCAA Tournament in 2016, but that’s beside the point. If the Atlantic 10 would like more NCAA Tournament bids in the near future, it’s going to need to beat respectable opponents before conference play. Recent announcements of non-conference scheduling in the A-10 are showing good signs. The league isn’t necessarily playing the Kentucky’s and the North Carolina’s every game, but they’re getting quality, mid-major opponents on their schedules. That’s exactly what the Atlantic 10 needs. I love this move for both programs. Butler is going to be the clear favorite, hosting a Saint Louis team that’s getting back on its feet in 2017-18. 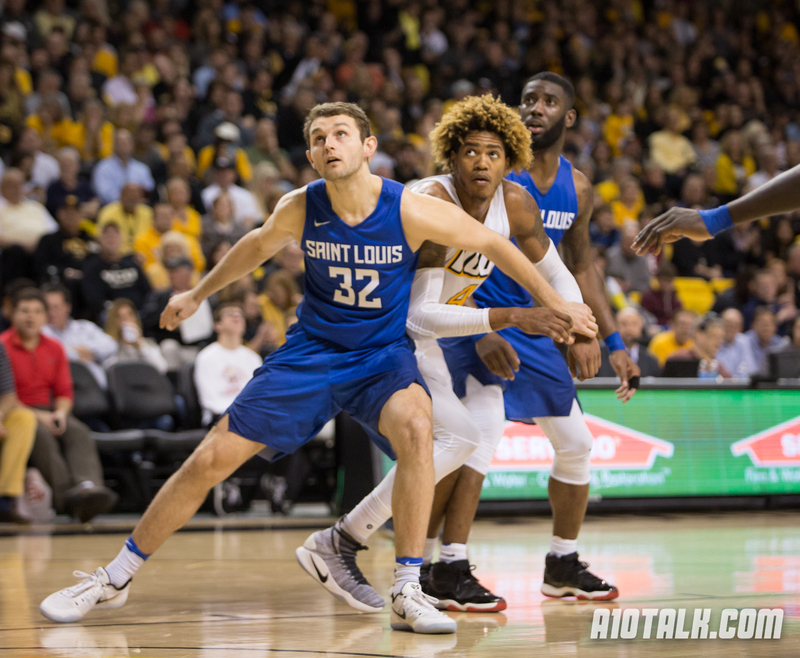 But a return game in 2018-19 where the Billikens could be a contender for an A-10 title? Now we’re talking. Either way, Saint Louis is doing a great job prepping itself for A-10 play with an opponent like Butler. The Bulldogs have become regulars in the Big Dance, and they always pose as a difficult opponent whether you play them in November or March. Plus, Travis Ford’s young team is going to get an early look at a hostile environment at Hinkle Fieldhouse this next season. I love this home-and-home series. I really love this game. Richmond, a team that’s going to have a lot to prove without T.J. Cline next year, scheduled itself one of the most daunting mid-major opponents of the modern day. Well done, guys. Seriously, Vermont was very dangerous last season, going undefeated in conference play and playing toe-to-toe with the Purdue Boilermakers in the NCAA Tournament. On a neutral court, Vermont may be a better team than Richmond, at least last season, and I’d expect the Catamounts to be back and kicking it next year. This is going to be a great test for the Spiders, and it’ll likely provide a little bit of an RPI boost, win or lose. I know what you’re thinking. Who’s Saint Peter’s? Before you jump to any conclusions, let me inform you that this was a Top 100 Kenpom team this past season. La Salle was 140th in Kenpom’s rankings. The Peacocks won the CIT and really had a pretty good year in the MAAC as well. This doesn’t look like a great game on paper, but it should be a decent enough test for La Salle. Realistically, the Explorers need games like these to build some confidence before conference play. Going up against teams like Georgetown and Villanova is great, but you also need some wins on your schedule, especially against decently above-average mid-major teams. Beating Saint Peter’s is a step in the right direction, but I also love that La Salle scheduled Miami (FL) for the next season. It’s good to get that kind of a balance to really test your team before the start of conference play. Also, VCU has UT-Austin and UVA at home in 2017-18 and away the following year. Good analysis with the points you made about Saint Peter’s and La Salle.. Had no idea Saint Peter’s was a top-100 Kenpom team last season. Also, I know that Richmond’s played Wake Forest year-after-year recently because I’m a huge Wake fan. I’m not sure if the series will continue on this season, but as Wake Forest continues to build upon the momentum that they made last year, this will be a great game to have on the Spiders’ resume if they can give the Deacons a game. Should be a much different matchup than last year’s game, as Richmond loses T.J. Cline and Wake Forest loses John Collins to the NBA.